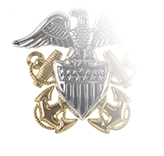 A Navy Officer who has completed the appropriate course of instruction and has been designated a Naval Aviator by the Chief of Naval Personnel or the Chief of Naval Air Training is eligible to wear not only the Naval Aviator breast insignia, but also belt buckles and tie tacks or clasps featuring the insignia. 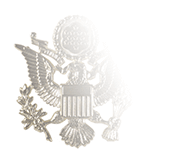 The Naval Aviator tie tack/clasp is worn with the four-in-hand tie in a horizontal position one inch below the center of the tie (the uniform coat should cover it). Nearly two-and-a-half years would elapse between the first launching of an airplane from a U.S. Navy ship and the Secretary of the Navy’s approval of performance standards to qualify and be designated as a Navy Air Pilot in April 1913—and another year would go by before the Bureau of Navigation actually signed off on an actual course for student pilots. 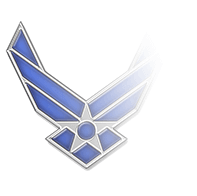 But the Navy had not yet granted the Navy Air Pilot certificate to any of its handful of aviators; without them, there would be no experts to determine the qualifications of up-and-coming pilots. In January 1915, Rear Admiral Bradley Fiske recommended that Navy Air Pilot certificates be awarded to seven of its pilots, with Theodore G. Ellyson designated as Navy Air Pilot #1. But an oversight by Congress led to some major confusion over nomenclature. 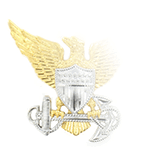 In establishing flight pay for Navy personnel in the Naval Appropriations Act of 2016, Congress provided extra compensation only for “Naval Aviators,” i.e., the fliers completing the course overseen by the experts classified as Navy Air Pilots. 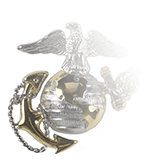 To remedy this, the Secretary of the Navy changed their designation to Naval Aviator in March 2015.